Join us to commemorate our Grand Opening! We strive to create original, exciting beers grown out of our passions. Our Taproom is an extension of this passion. We hope that the experience created here is one that matches the quality of the beer we are committed to serving. Monostatic #1 - Our single hop IPA series with Michigan grown Centennial hops. Possibly a surprise or two to add! Parking is limited on site. We are aware this is less than ideal and are working on a more permanent solution. For the short term, the lots located on the other side of the building south of us on Wayne Ave are available for parking this weekend to help and street parking exists all around the brewery. Please be respectful and mindful of our neighbors. We hope to see everyone out for great beer, food, and company! Branch & Bone Artisan Ales combines the ingredients of earth and the work of humankind to craft subtle, yet flavorful ales. Inspired by European traditions and modern American eccentrics, we brew a range of ales that will encourage exploration. Attention: We are hiring! Looking to staff the taproom at this time. 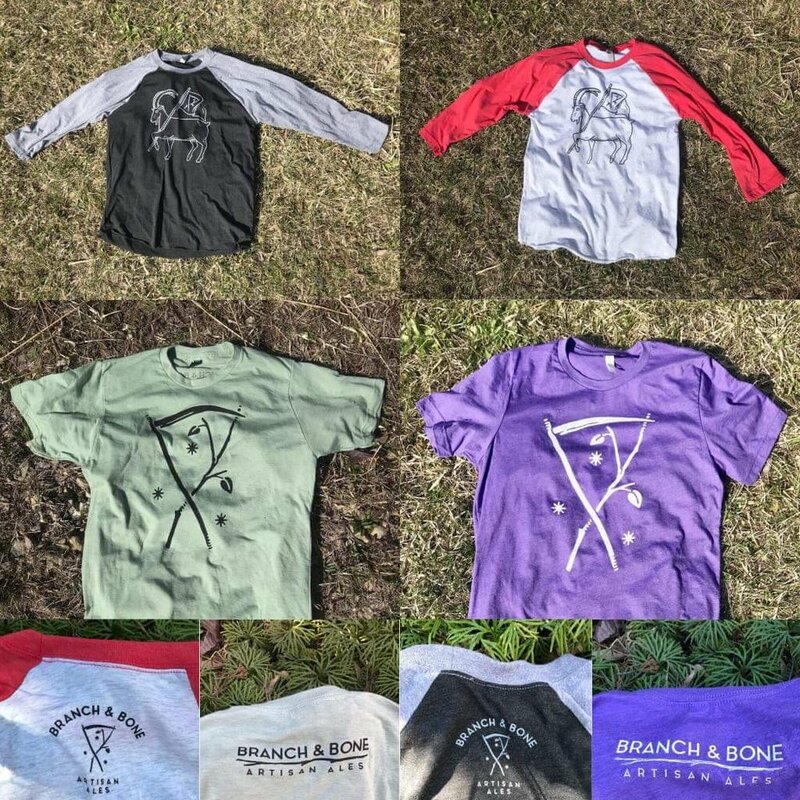 Branch & Bone Artisan Ales is seeking energetic, friendly, and responsible individuals for the roles of Taproom Manager and Beertender. Creativity is encouraged with a willingness to grow with our business. Exceptional customer service, knowledge of beer styles, dedication to expanding your beer acumen, and a willingness to educate is a must. See the complete listing below. 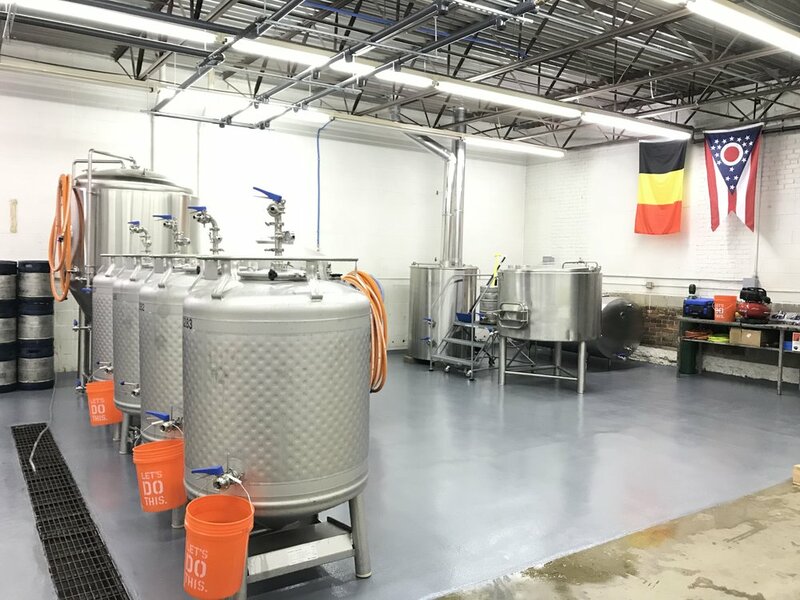 Brewhouse is complete and we are gearing up to start cranking out beer as soon as the state pushes some papers. We will announce our Grand Opening as soon as we know when it'll be. Thank you all for the enthusiasm and interest. Soon! When we started planning our brewery a few years ago spontaneous beer was the spark. 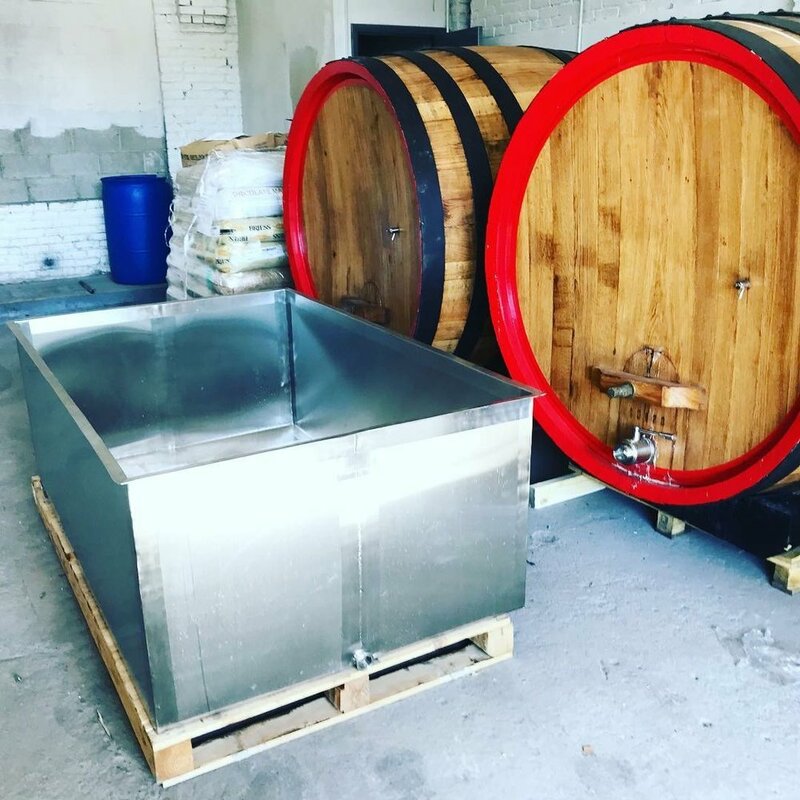 Today we brought home our coolship. We can’t wait for the possibilities that this simple piece of equipment brings with it. Along with our 20bbl oak foeders, our passion for mixed fermentation and spontaneous beer can be realized into beer for us all to enjoy. A very exciting day. Our Web Store is Live! Our Web Store is now live! You can follow the link below to find our merchandise currently in stock for purchase. We have two T-Shirt colors to select from, Heather Grey with Black lettering and Charcoal with White lettering. Both feature our logo on the front with Branch & Bone Artisan Ales text logo across the back below the neck. These T-Shirts are Unisex and we have sizes ranging from Small-3XL. Prices for these shirts are $20. Our first run of glassware features a 12.75oz stemmed wine glass with shiny bright platinum print of our logo. These glasses accentuate every style of beer well. Please take care to hand wash as the shiny lettering print can come off in the dishwasher. Price for the glasses is $8. Two different stickers are also available. One is a round sticker with black print on white background. It features Branch & Bone Artisan Ales around the outside with our logo in the center. This sticker is 3" x 3". The other is a white print on black background die cut sticker of our logo. This sticker is 3" x 2.76". Both stickers are $1 each. We offer shipping directly to you for $7 flat fee for all orders. There is also a local pickup option here at the brewery. We aren't open to the public for beer but are on site doing work to get open Monday-Tuesday and Thursday-Friday 10am-4pm most weeks and other times as needed to get you your merchandise. If you place an order and want to arrange a time for local pickup, please reply to your confirmation email so that we can take care of you! This is our first step toward getting beer in your glass and we can't wait to share our products with you! Fall has officially arrived and so has our first round of merchandise. T-shirts, glassware, and stickers will be available for purchase later this week. Check back for our web store to go live! Check out this great article written by local journalist and fellow beer enthusiast Mark Fisher! Check out the Q&A written up by our good friend Kevin Gray for Dayton Most Metro! We are beyond ecstatic to share this dream with you and this is where it all starts! Please share with your friends and we cant wait to see you 1st Quarter 2018! Be sure to follow us across social media to stay connected and informed on all things happening. Facebook, Twitter, and Instagram in addition to the blog here will be the place for all of our communication about news, updates, event, beer releases, and current events among the beer industry. We thank everyone for their support so far! What you see is the start of years of dreaming, planning, and desire. The future location of Branch & Bone Artisan Ales. While there is still much work to be done before we can share our passion with you all, the journey has begun. Please follow along with us for major updates and news. Rather than share every construction update, expect information and thoughts that help to explain who and what we are in addition to major announcements. An independent brewery, Branch & Bone Artisan Ales was born out of friendship and a passion for beer. What began as a hobby has developed into a love for beer and the community that shares this appreciation. From there, the curiosity and exploration of alternative brewing and fermentation techniques took hold. A desire to create a balanced and flavorful product at the highest quality possible while contributing our passion to the community that surrounds us has led to the founding of our brewery. Branch & Bone Artisan Ales combines the ingredients of earth and the work of man to craft subtle, yet flavorful ales. Inspired by European traditions and modern American eccentrics, we brew a range of ales that will encourage exploration.